Final Fantasy spinoff Theatrhythm will receive an encore with Theatrhythm Final Fantasy: Curtain Call, set for a Japanese launch on 3DS next spring. Gematsu obtained scans of this week's Jump magazine from Japan, which revealed the product. The announcement comes a couple of weeks after a trademark for the game was filed. The game will contain over 200 songs, including tracks from Final Fantasy XIV: A Realm Reborn and Lightning Returns: Final Fantasy XIII, as well as all of the microtransactions from the iOS port of the game and a new Versus mode. 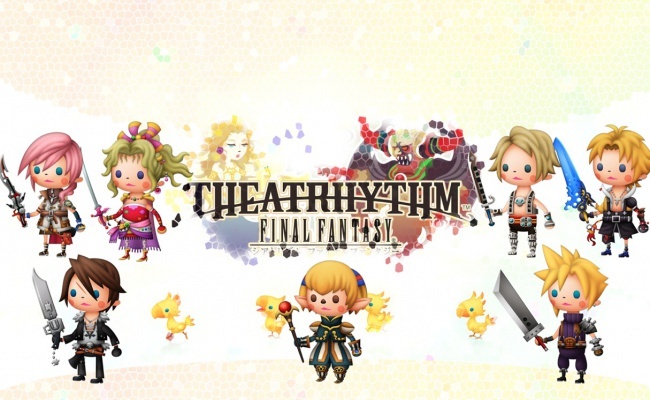 Theatrhythm: Final Fantasy Curtain Call will release in Japan on Nintendo 3DS in 2014, and hopefully a localization will come soon after. So is this the new version or just an upgraded one? An upgraded version. Think a GOTY edition type of deal here.